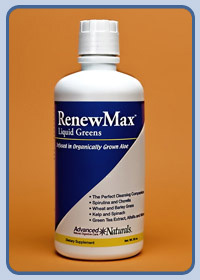 A liquid super greens formula developed to provide nutritional support and promote health and vitality. Alkalizing compounds help rejuvenate the body. May be taken with a cleansing formula or alone on an ongoing basis to provide energy and nutritional support.